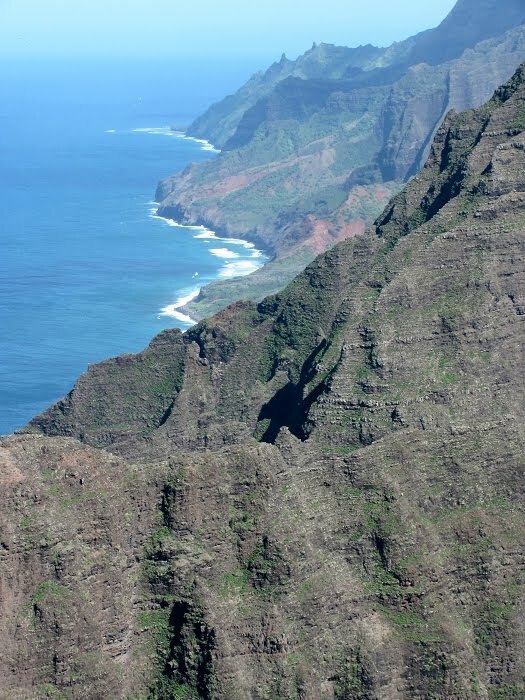 From the end of the Nualolo Ridge Trail, one gets this marvelous view looking up the Na Pali Coast. 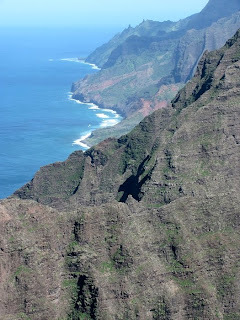 You can see all the way to Ke'e Beach (where the Na Pali Coast trail begins). I've seen photos from 1913 showing horseback riders enjoying the view from this place. I don't think you could get a horse down here today, though!